How are you doing? I have found a recording on the archives of a recent North Korean recording of the Voice of Korea on the Panmunjon Summit, between both North and South Korean leaders. Click here to check out Dean’s YouTube channel. Great job snagging this particular VOK recording! You’re following a long tradition of SWLs before you who’ve made an effort to capture these fascinating bits of radio history. Keep up the great work, Dean! This entry was posted in News, Shortwave Radio, Videos, What's On Shortwave and tagged Dean Denton, Panmunjon Summit, Voice of Korea on May 13, 2018 by Thomas. Dean: An intrepid young DXer! UPDATE (28 October 2017): We’ve updated links to Dean’s website to reflect his new URL. A few weeks ago, I received a message from SWLing Post reader, Dean Denton, who lives in Hull, UK. Dean is not your typical contemporary shortwave listener–he’s twelve years old and has been DXing since the age of eight! While, decades ago, that used to be the norm–indeed, I started SWLing at eight–Dean is bucking the trend in 2017. Dean’s listening post consists of a few receivers: the Tecsun PL-660, a Tesco RAD 108, a Uniden UBC360CLT and a Hitachi TRK P65E. Dean also spends a great deal of time on the excellent University of Twente WebSDR. “I typically love a lot of broadcasters, but generally China Radio International, Radio Romania International, BBC, Voice of America plus many more. 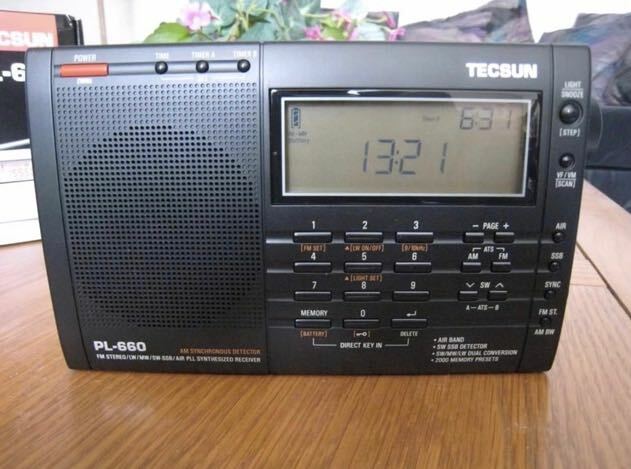 I like talk and news on shortwave radio as it gives an insight of a typical country’s actions. Dean, you’re a kindred spirit indeed–to me, there’s nothing like the sound of music via the “sonic texture” of shortwave radio. Not only is Dean a radio enthusiast, but he also started a website and is building a library of videos on his YouTube channel. Indeed, most recently, he’s been experimented with Narrow Band TV on his YouTube channel. Dean, keep us informed about your DXing adventures and don’t hesitate to ask questions! Post readers: Let’s officially welcome Dean into our community! While you’re at it, check out his website and YouTube channel! This entry was posted in Listener Posts, News, Shortwave Radio, SWLers and tagged Dean Denton, DXing, shortwave on January 27, 2017 by Thomas.